Heels, flats, sandals, wedges, boots, sneakers, loafers, or lace ups, at Florsheim our women’s shoes come in all shapes, colours, and sizes. From cutting-edge designs to classic silhouettes, our shoes for women are created to combine the greatest on-trend style with the latest in comfort technology. 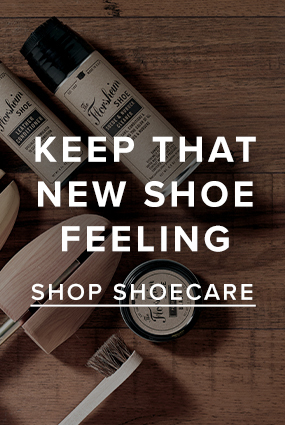 For ladies shoes that feel as good as they look, look to Florsheim. Our Women’s collection includes stylish silhouettes and trending colour pallets, with a style to pair perfectly with any outfit. Our Women’s range features shoe with padded insoles & premium materials to provide you unparalleled comfort all-day-long. With a shoe for every women’s lifestyle, you’ll never have to sacrifice your style for comfort ever again. Shop womens heels, womens flats, womens sandals, womens wedges, womens boots, womens corporate, womens sneakers, womens loafers and womens lace-ups.